Choosing the right proxy can be a daunting task. Even if there are many proxies to choose from, there is one that is certainly good for you. When you decide to install the internet at your house you will always be provided with a residential IP from Internet Service Provider (ISP). It’s usually a cable, local digital subscriber line (DSL) or Real Broadband. The moment you start to surf the web you will receive an IP address. You should note that your residential IP is usually managed and controlled by your ISP. In this light, your IP address is likely to change every time you reboot your network or router. 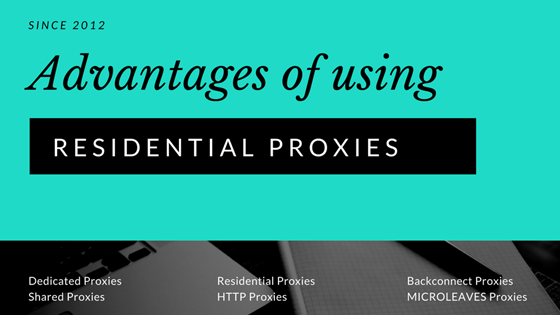 What Exactly Is Residential Proxy? In order to understand residential proxies better, it’s wise to start with residential IP. Residential IP is the foundation for the residential proxy. Every time that you are surfing the web or connected to the internet, there is a certain IP that is assigned to you- the residential IP address. This is the address that identifies you and enables you to connect to different websites all over the internet. Your IP address can either be dynamic or static. A dynamic IP address keeps on changing every time you reboot your network or router, but the factors that identify you do not change. This means that you can still be identified using your IP address. Moving on to the static IP address, your address will remain the same even if you reboot your system. With static IP address, your address will always be the same every time you surf the web. Now that you have a clear idea of what an IP address is, let’s take a look at the residential proxies. Residential proxies can simply be defined as IP addresses that belong to a particular country but they are being used in another country. In other words, residential proxy providers take personal IP addresses from one country and sell them to other countries. Unlike many types of proxies, residential proxies are more legitimate. It’s easy to create thousands of proxies such as datacenter proxies, but it’s very difficult to create hundred or residential proxies. The reason behind this is due to the fact that this type of proxy is given only to residents. This is why they are known as the most secure and legitimate proxies than any other type of proxies. The assumption here is that most people who use this type of proxy have nothing to hide. They only want to hide their identity while surfing the internet. 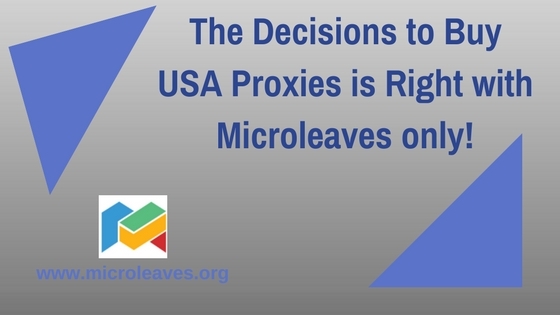 When compared to other proxies, your chances of being blacklisted by search engines, databases and various security systems are low when using microleaves residential proxies. There are many different types of proxies that are associated with unhealthy activities such as scamming information from various websites. Proxies that are linked to such activities are more likely to be blacklisted by top search engines like Google. In addition, if a website suspects that you are stealing information from them or spamming unwanted information to their site, they will blacklist you and even report you. In order to reduce your chances of being blacklisted, it’s highly recommended that you consider investing in residential proxies. Many websites consider this type of proxy to be safer and secure. Every time you hear the word proxy the first thing that comes into your mind is hiding your IP address. 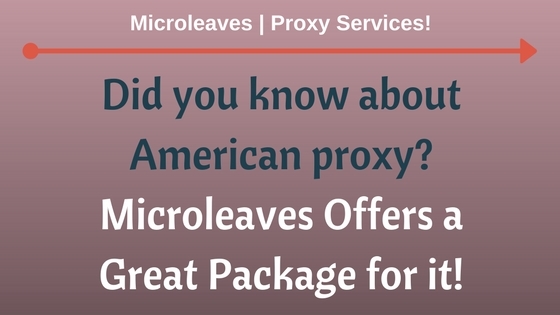 Well, there are several proxies out there that can offer you this service, but residential proxies will offer you something extra- increase security. 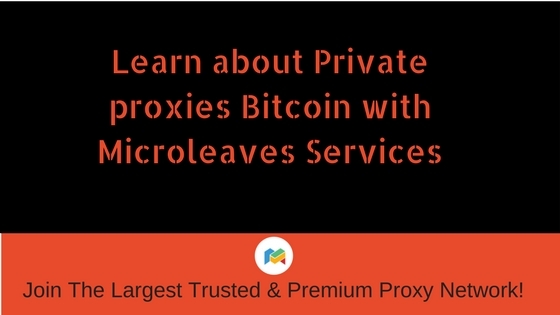 It is a known fact that microleaves residential proxies are more secure and this is one of the reasons why they are high in demand. As mentioned above, it’s very difficult for you to be blacklisted in many websites if you choose to invest in residential proxies. Given that they are available in small quantities, they are somewhat expensive but worth every dollar. Many people who consider investing in proxies usually have difficulties sending multiple requests per minute. If you try to send many requests at once without using a proxy, chances are your IP address will be blocked immediately or you will have to wait for a long time to view whatever you were trying to access. The good news is, with residential proxies you can send as many requests as you want per minute. What’s more, your chances of being blocked or blacklisted will reduce significantly. 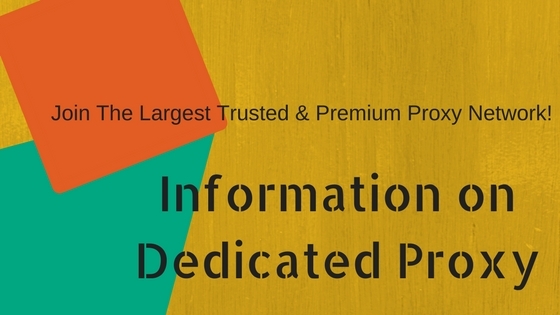 Residential proxy is also one of the most trusted and reliable proxies. It’s true that many proxies allows you to stay anonymous while surfing the internet, but residential proxies is more preferred than any other type of proxy. Why? This is because they are available in small numbers and are regarded to be the most secure and safe proxies. Remember, residential proxies are simply IP address of a certain country, but they are used in a different country. This gives you access to everything that you need in the country where your IP address is registered. What’s more, all your personal details and any other information that you would like to protect are safe. Many companies that offer residential proxies also sell datacenter proxies. In this light, many people usually buy datacenter proxies instead of residential proxies without even knowing. The company lies to you and tells you that they are giving you residential proxies but the truth is they are selling you datacenter proxies. It’s therefore in your best interest to make sure that you are buying your proxies (Avoid this common mistake while buying proxies) from a reputable company. Do not buy from a company that has a record of stealing IP address from other providers or even web users. Using such a proxy will not give you the security that you are looking for. Chances are other people will have access to whatever you are doing. 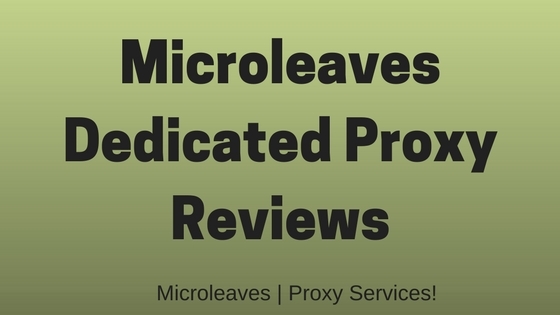 Microleaves residential proxies are highly recommended. The company has been in this business for many years and has managed to build a credible reputation.